Renault's Dahlgren has responsibility for compact-sized vehicles including the new Scenic minivan. 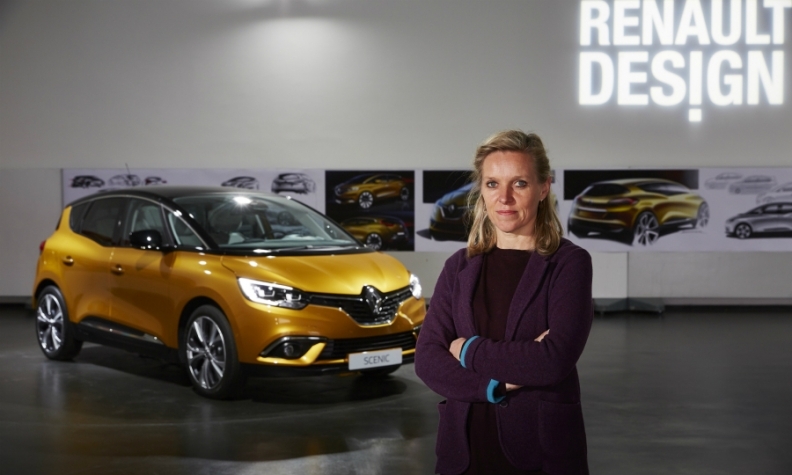 Women such as Martina Starke at BMW and Agneta Dahlgren at Renault are shaping the designs of today's vehicles, but they are the exception. The field remains male dominated, they say. This isn't because women are being discouraged from entering the profession. 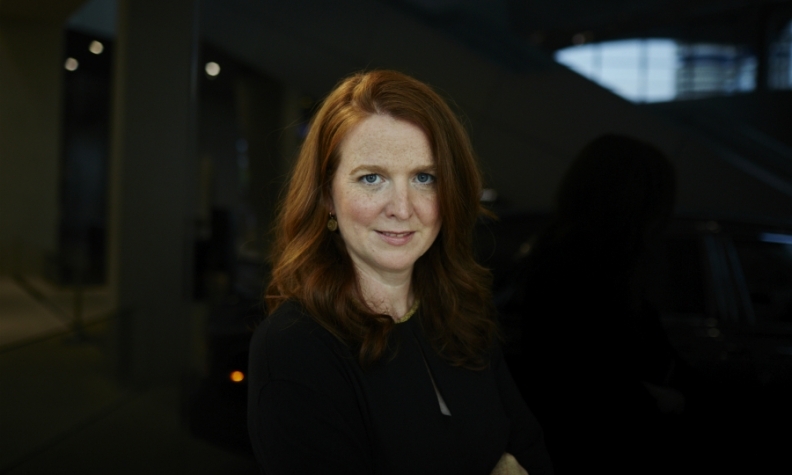 Siobhan Hughes, chief designer color and materials at Jaguar, says it is because few women are aware that a career in car design is available to them. Hughes believes the industry should do more to promote itself to women. "When I talk to students they are surprised by the opportunities available," she told Automotive News Europe. "My niece is studying transport design and is the only girl among 100 students. Because of my job she is aware. Most young women are not." Things, however, are changing. A quarter of Volvo's 160-person design team is female. This group includes three of the Swedish automaker's top stylists: Ebba-Maria Thunberg, vice president, color and material design; Christine Lindberg, design director, interaction; and Tisha Johnson, senior director, design and head of Volvo's California studio. Martina Starke said there were no women working in exterior design when she started at BMW. BMW's Starke has worked at the automaker for 15 years and is head of color and trim design, material technology and design quality across all models. "The car industry is still very male but that is changing," she said. "When I started in BMW we had no women in exterior design. Now we have more. We also have more females [in the design department] than in other parts of BMW." Most female designers today work on interiors with just a few with key roles in the competitive world of exterior design. One example is Agneta Dahlgren, who has responsibility for Renault's compact-sized vehicles including the new Scenic minivan. Dahlgren was always interested in cars and as a girl loved working on mechanical projects with her father and brother. "Do girls have exactly the same interest in cars as boys when they are very young? It's difficult to say. I'm not sure girls are not born to play with cars, but we educate boys and girls differently from the beginning," she said. "What we do know is that fewer girls end up in automotive design schools." That was even more true in 1969 when Mimi Vandermolden joined Ford. She started out designing home appliances for a Ford subsidiary before moving into automotive design. She worked on the Mustang, the Taurus, the redesign of the Granada and oversaw the entire design of the 1993 Probe. Vandermolden was an ergonomics pioneer who developed features such as rotary dials for climate control. Determined to make her male colleagues aware of the needs of female drivers, she insisted they wore fake fingernails while trying out controls. She also threatened them with wearing skirts. Today, Sonja Vandenberk is chief designer of color and material at Ford Europe, having previously worked at General Motors, Mitsubishi and Nissan. Vandenberk's work includes the Opel Adam, Mitsubishi Lancer and Ford Mondeo, S-Max and new Fiesta models. Vandenberk believes change is underway. "Color and trim are no longer just a female thing," she said. "Both men and women are interested in materials, color and shape and want to express the emotional experience of a car through them." Claudia Braun is head of color and trim design at Mercedes-Benz. Her recent work includes the new E class and the Maybach S class. She believes more women will be attracted to car design by industry changes. "The car is becoming more and more a lifestyle product," she told ANE in an email reply to questions. "The technical aspects are changing and jobs in the car industry are changing as well. You have to communicate a lot, work holistically and be open to changes. Women feel very familiar with these requirements." Priyanka Gaitonde joined Nissan Design Europe in 2011 and has worked on the new Micra and the Infiniti Q30. "What I love about the motor industry is that it's fast paced, globally networked, very collaborative and cross functional," she said. "You are constantly challenging other teams to push their boundaries."